2018 Was A Great Success! 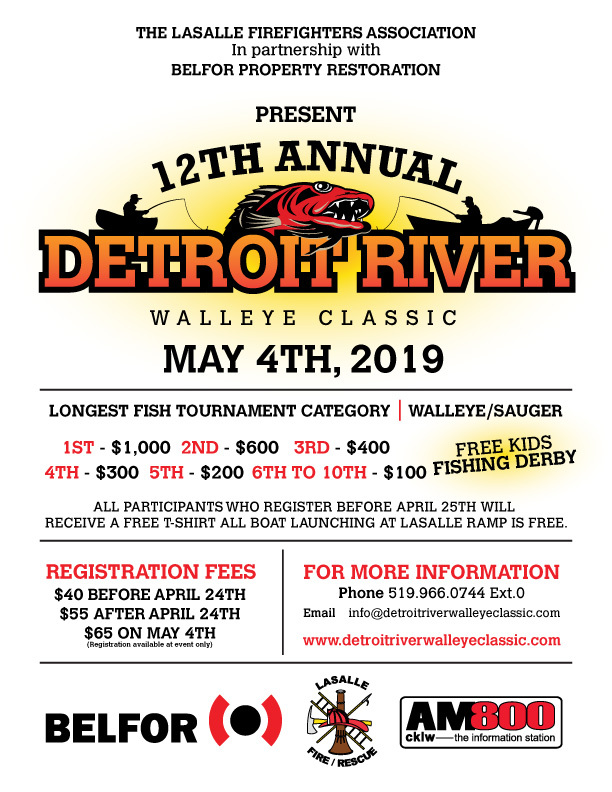 The 11th Annual Detroit River Walleye Classic was a great success! We met our funding goals and a big Thank you goes out to all of our sponsors, participants, and volunteers! will take place May 4th, 2019.